J.N. Roberts is a living legend. Back in the 1960s and ‘70s, J.N. dominated the desert-racing world, amassing countless race wins and championships in his signature style. If you’ve ever seen On Any Sunday, you know what we’re talking about. J.N. was fast, aggresive, and incredibly talented aboard his desert sled. At the height of his racing career, he won 27 consecutive races, claimed victory in the famed Barstow To Vegas event four consecutive times, took the Mint 400 three times, and the Baja 500 and 1000 two times each. Simply put, even on a bad day, it was hard to find someone that could run with J.N. He was to desert racing what Joel Robert was to motocross. 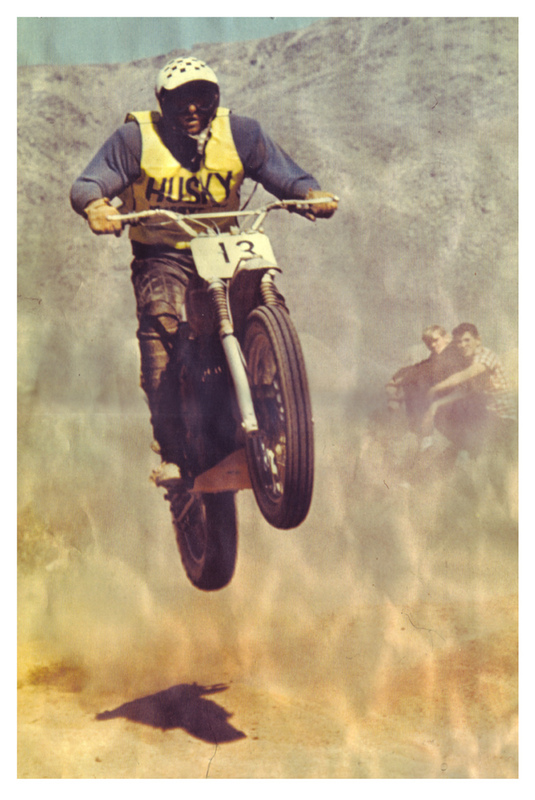 Later in life, his racing and talents on two wheels led him to become one of the most respected stuntmen in Hollywood, and to this day, he regularly swings a leg over a dirt bike. Even last year, J.N. 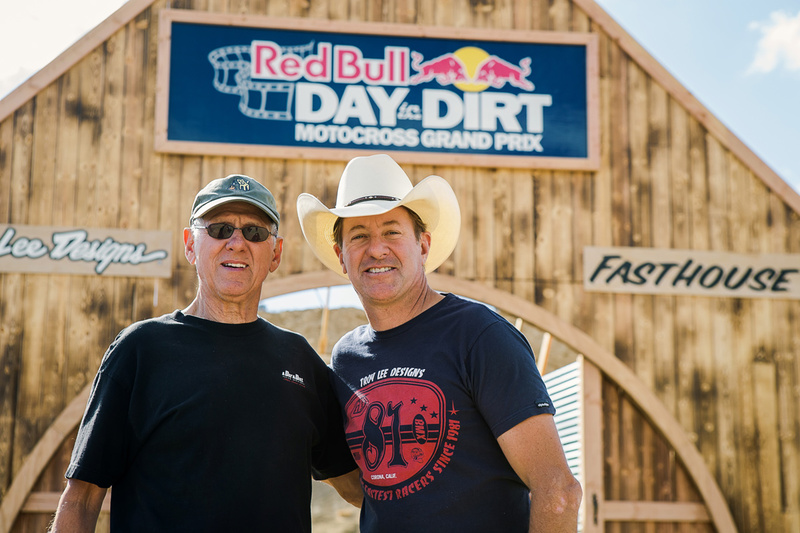 could be found at the annual Red Bull Day In The Dirt, spinning laps with his son Jimmy Roberts, who is also no slouch on a bike and a successful Hollywood stuntman just like his father. Today, although it’s been years since J.N. has ridden to victory, desert racing is alive and well, and riders like Fasthouse’s own Blayne Thompson and Trevor Stewart regularly compete in off-road and desert events. 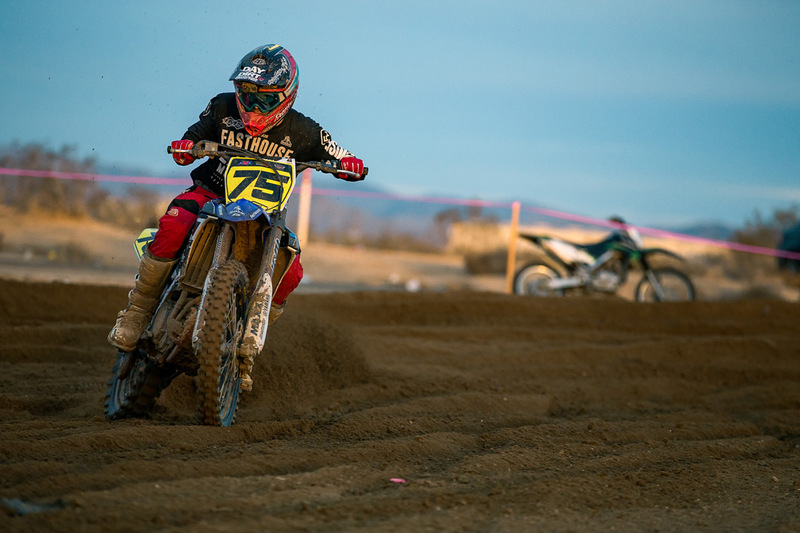 Recently, we were lucky enough to witness Thompson standing on the top step of the podium at the opening round of the District 37 AMA Big 6 Grand Prix Series where he took home a dominating win at the prestigious Adelanto Grand Prix. If you haven't seen it yet, you must check out the video we produced documenting entire the day. If you want to learn more about what made J.N. so unstoppable, check out the History section of our site. You can also find out more about the days “When Rules Were Few” and men ripped across the desert aboard their steeds with nothing but an open face helmet, boots, leathers, and four inches of suspension travel. J.N. 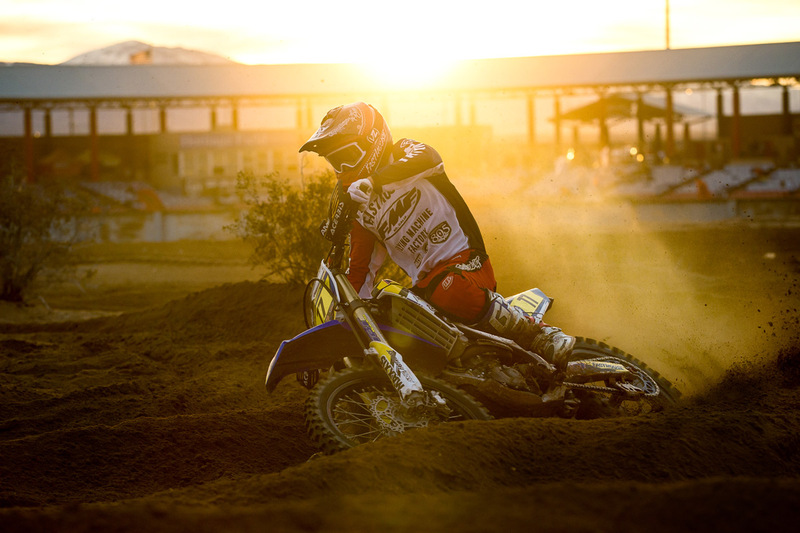 and his son Jimmy at the 2015 Red Bull Day In The Dirt. J.N. ripping across the desert. 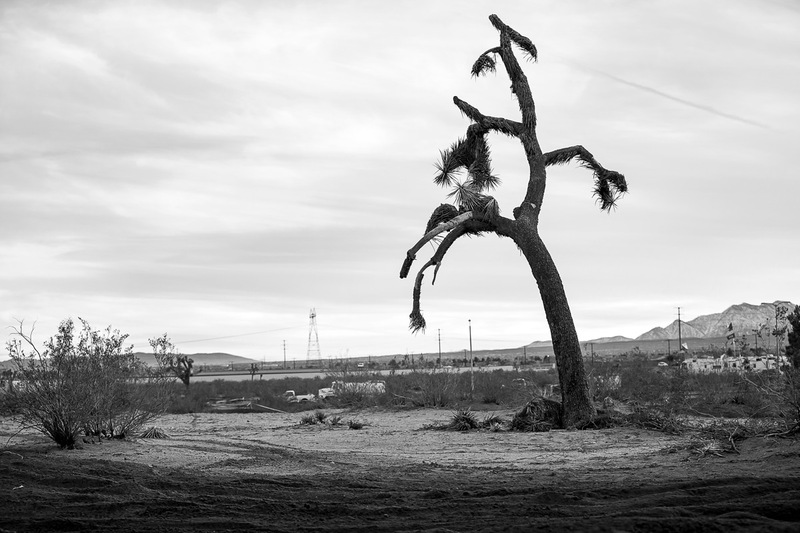 Blayne Thompson absolutely rips in the desert. Trevor Stewart getting sideways at the 2016 Adelanto Grand Prix.